Looking for an invigorating body scrub to make for yourself, or perhaps looking for a coffee related gift that a friend will love? 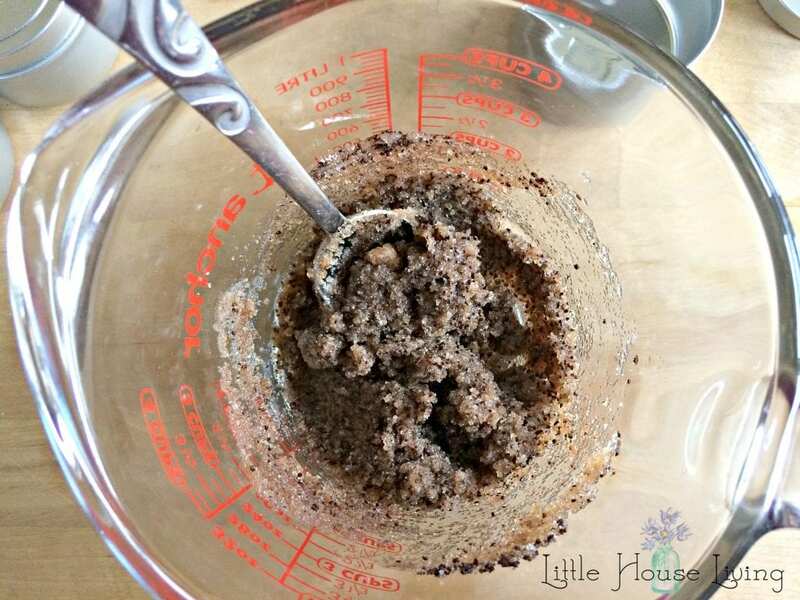 This homemade Coffee Body Scrub recipe is so easy to make and it smells so good that you will wonder why you haven’t made it before! I’m not a coffee drinker but I absolutely love the smell of fresh ground coffee. There’s nothing like waking up in the morning to that smell! 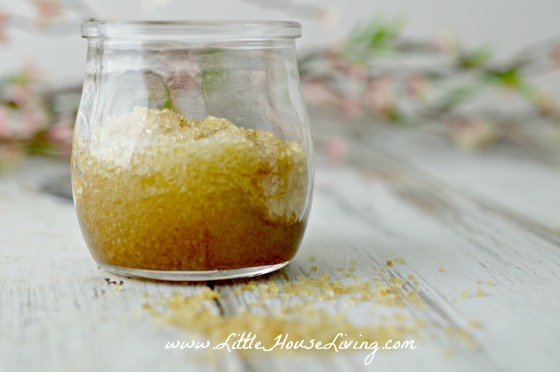 Many people just happen to be big fans of coffee, which is what makes this easy homemade Coffee Body Scrub such a great gift. 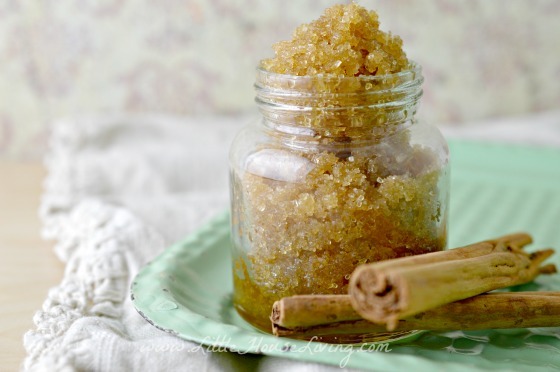 –This Cinnamon Vanilla Body Scrub Recipe is also wonderful! The caffeine in coffee (when applied topically) has been shown to dilate blood vessels which will then tighten the outer tissues of the skin, helping with wrinkles and cellulite. 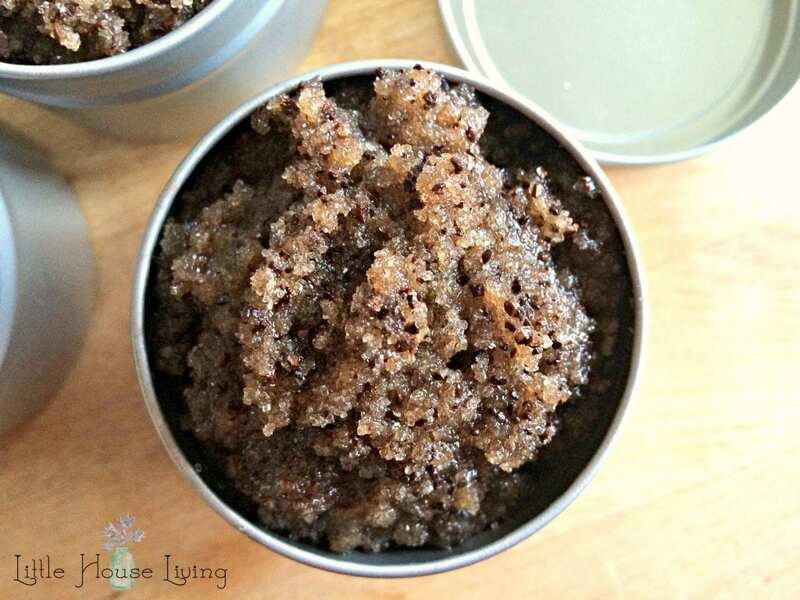 Of course, caffeine is also very invigorating so if you are looking for a new face scrub to wake you up in the morning, this coffee scrub might just be the way to go! 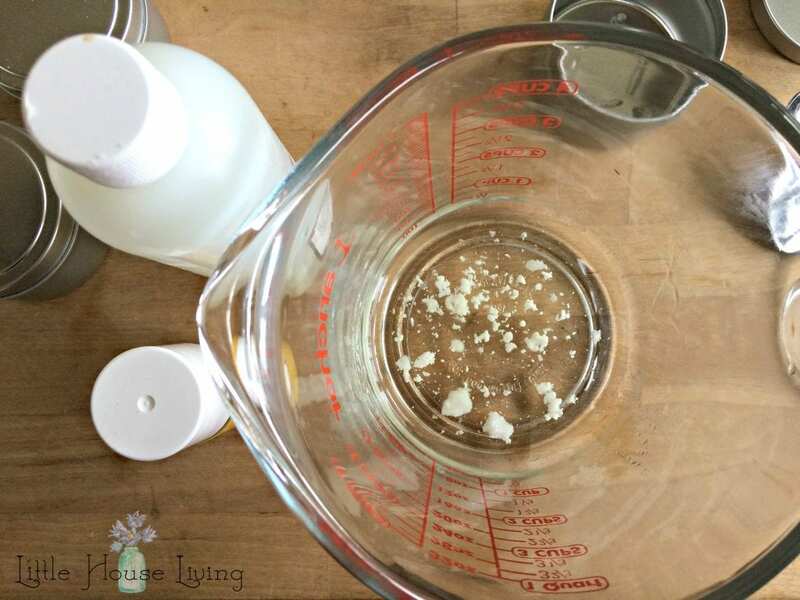 –If you need another use for it, my Homemade Healing Salve also uses grapeseed oil. 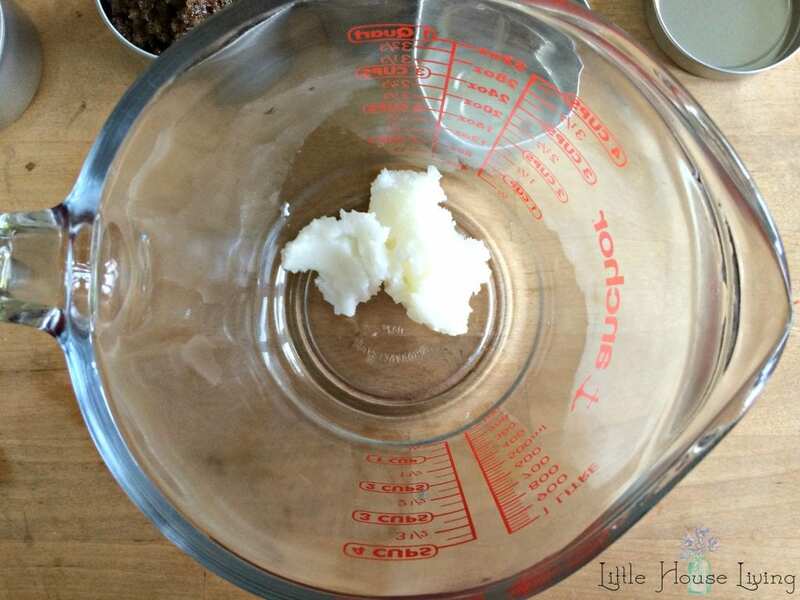 Begin by melting your coconut oil. You can do this on the stovetop if you wish or in the microwave in a glass container. Once your oil is melted (or mostly melted), add in the vitamin E oil and the grapeseed oil. I usually just add a few drops of vitamin E, a little goes a long way. 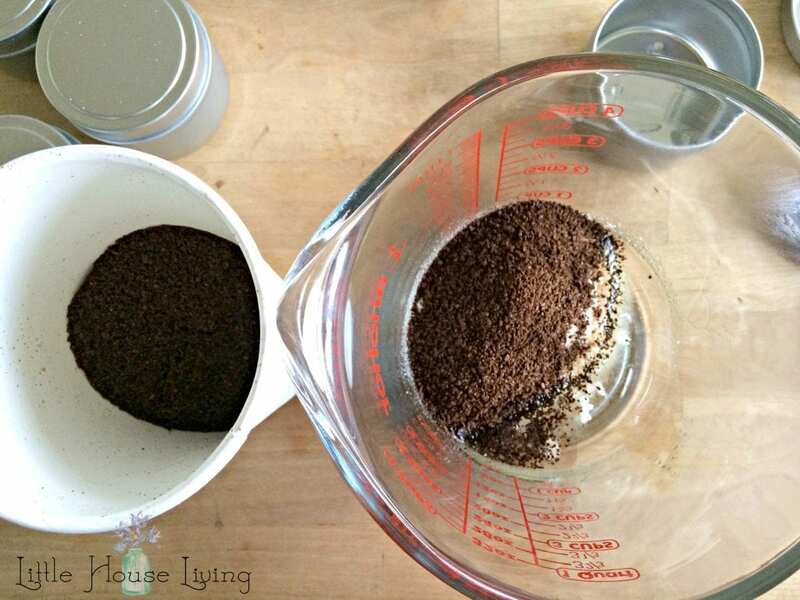 Add your coffee grounds and sugar. If you feel like your mixture is too dry, add in a bit more grapeseed oil. If you feel like it’s too wet, add a bit more sugar. The dryness/wetness will vary depending on the coffee you use and how freshly ground it is. –You might also like this Sea Salt Body Scrub. Mix all of the ingredients until no lumps of coffee or sugar remain. Place your scrub in some kind of jar or container. I always have these 4 ounce Tin Containers on hand, they are perfect for so many DIY things! Store the scrub in a cool, dark place until ready to use. –I also use these tins for making Beeswax Candles! You do not want to use this scrub in the shower, you don’t want coffee grounds going down your drain. To use, scrub on, wipe off gently with a towel. Once you’ve gotten the grounds off, you can wipe off any remaining sugar or oils with a damp washcloth. Don’t use towels that you really care about…the coffee may stain them. 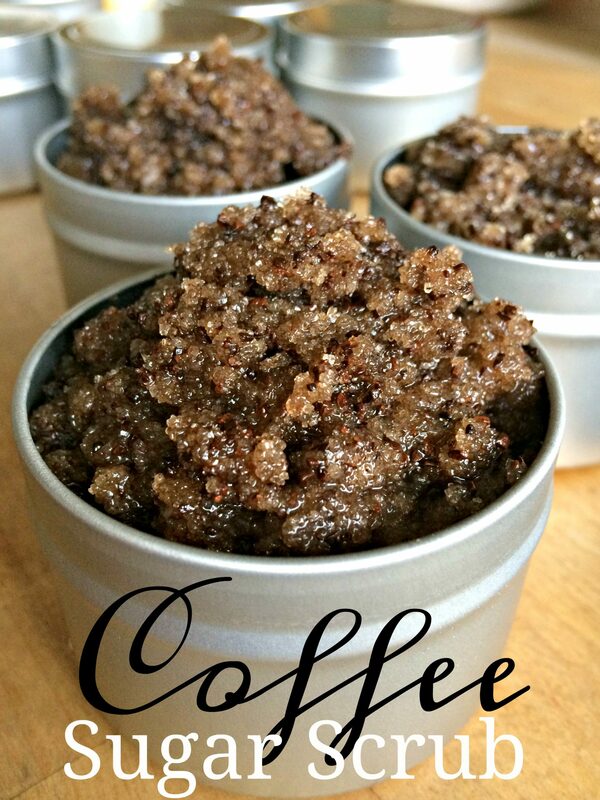 Do you have someone that you can give this homemade Coffee Body Scrub to? Have you tried a coffee scrub before? 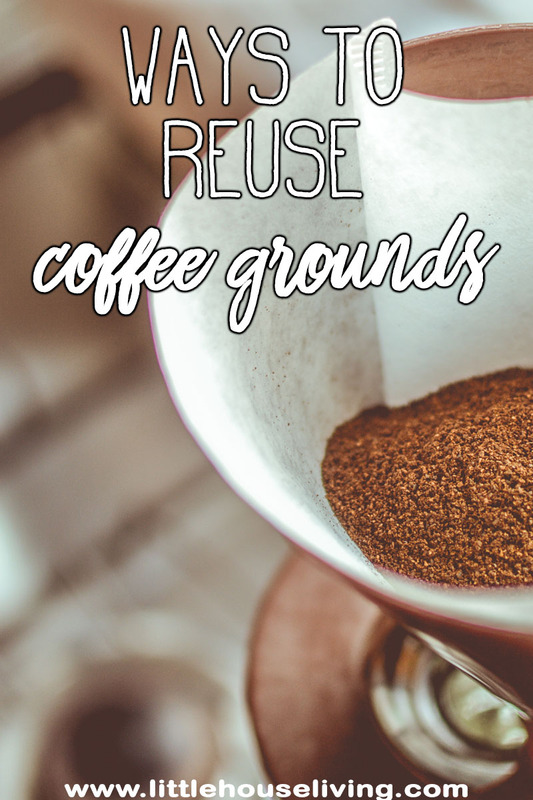 Can you use used coffee grounds (from your morning coffee) or must they be freshly-ground? Yes, you can use used grounds although the scrub will not have the same effect on your skin since most of the caffeine will be removed from the grounds. However, it will still make a great scrub! OMG. I can’t believe I’m finding this on this site when I came here to look for sewing stuff…I LITERALLY tried this out after added coffee to a sugar and olive oil scrub i discovered yesterday! Awesome stuff! Maybe I’ll try this scrub though since it has measurements and extra oils that may be more beneficial to my skin…Awesomeness!!! I hope you like making this! I love sugar scrubs! This sounds like a great recipe. Pinned. This is awesome! I’ve used this and found it to be really cleansing. However, I noticed I can’t leave it on my face for a long period of time as it starts to burn a little. Other than that, it’s perfect for scrub and rinse. Thanks for sharing! 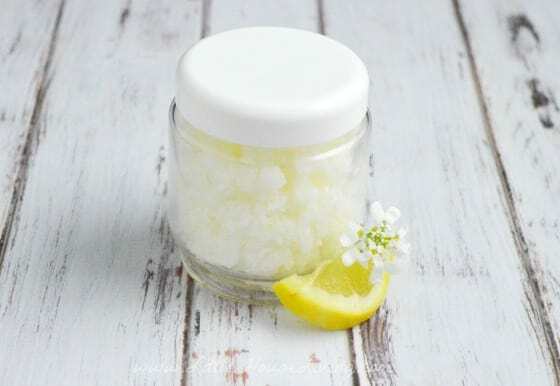 Homemade and healthy has always been my preferred way to go for beauty items. This is definitely a winner which I will have to try. What a great scrub! I want to wake up to some of this in my morning shower! OMg! I tried this after added coffee to a sugar and olive oil scrub .Awesome stuff! And really effective one than the others. Maybe I’ll try this scrub though since it has measurements and extra oils that may be more beneficial to my skin.